Five departments work together to offer complete care for the animals visiting us. Our one-stop pet care facility serves Bloomington, Indiana. We care for a wide variety of animals including cats, dogs, ferrets, pigs, turtles, rabbits, and snakes. BloomingPaws is open weekdays and Saturdays! See more: Hours of Operation. Our full-service veterinary hospital is equipped with state-of-the-art technology for a variety of pets, as well as exotic animals. Services we offer include: comprehensive laser surgery, digital radiology, an in-house diagnostic laboratory, and holistic treatment options. 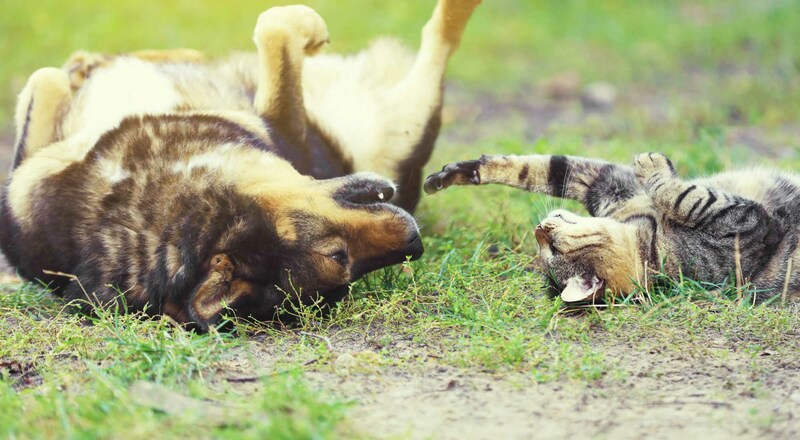 Learn more about our affordable Wellness Plans for cats and dogs of all ages! Our #1 priority is your pet’s health and safety, so all dogs are evaluated by our trained staff before entering Group Play. There are separate indoor and outdoor play areas at BloomingPaws to match your dog’s size, age, temperament, and the weather. Activities include one-on-one time, day training, and swimming in our Doggy Splash Pool. At BloomingPaws, dog boarding options include Traditional Apartments, Premium Apartments with Outdoor Patios, Presidential Suites, Luxury Suites and many, many optional activities and services. Boarding options are also available for cats and some exotic pets. BloomingPaws full-service dog & cat grooming services include baths, full spa treatments, shedless treatments, massages, and many more. Grooming add-on packages are also available. 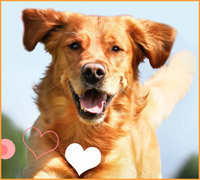 Become a Pampered Paw Loyalty member! We offer individualized dog training solutions and a variety of training programs to fit you and your dog’s needs. Our humane and science-based dog training methods, taught by our Lead Trainer, help produce a compliant, happy dog that loves to work with its owner. 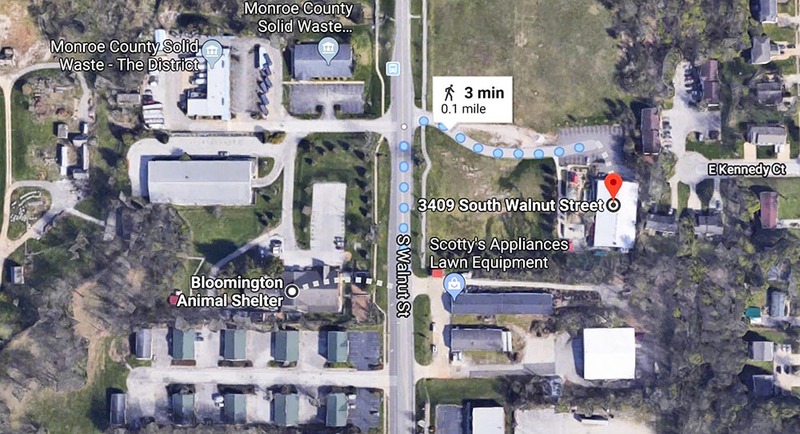 The Bloomington Animal Shelter is right across the street! Find out more about how we work to support our local shelter.